Last week was one of our busiest yet, with even more Dodges receiving major upgrades via Carli Suspension. This 2012 Mega Cab Dually features a Carli Suspension Performance 2.5 suspension system along with Carli Suspension Full Progressive Leaf Springs and a Carli Suspension Torsion Sway Bar. It is riding on factory Alcoas and Toyo AT2 35x12.5x17 tires. This is one nice riding and driving tow rig that, thanks to Carli's Long Travel Air Bags, it will tow just about anything hooked up to it! 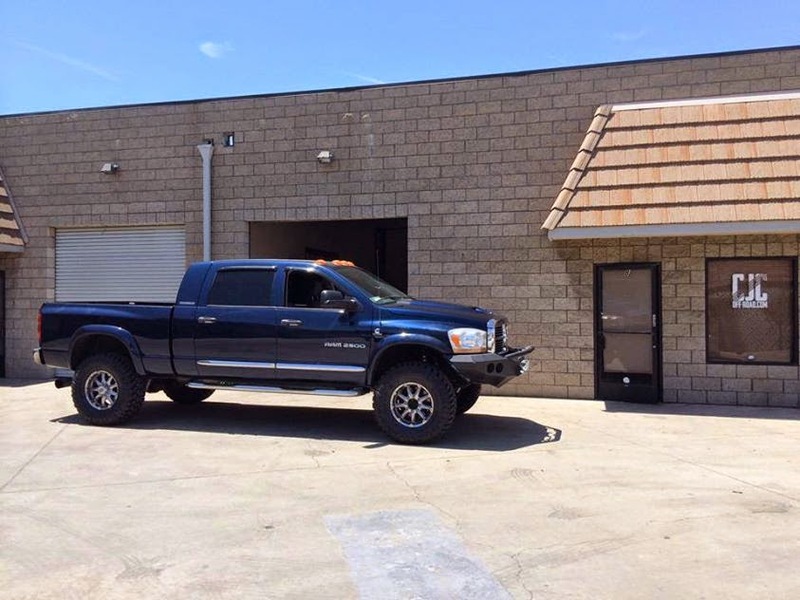 This 2005 Dodge Ram 2500 quad cab features a Carli Suspension Leveling Kit, a Carli Suspension Adjustable Track Bar, a Mopar 08.5 Steering Upgrade, Method Race Wheels 17" NV's, and Hankook 35x12.5x17 tires. All slop in the front end of this truck was removed, resulting in far superior handling, ride quality, and drivability. 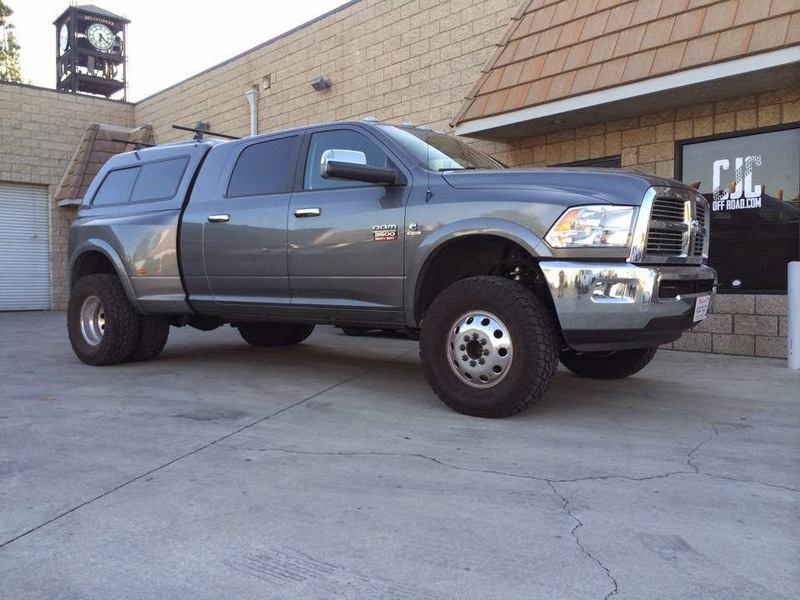 This 2006 Dodge Ram 2500 Mega Cab features a Carli Suspension Pintop 2.5 system, Carli Suspension Heavy Duty Control Arms, Mopar 08.5 Steering Upgrade, and Toyo Open Country MT 37x13.5x17 tires. We were ecstatic at the ride quality improvement this truck exhibited. This truck's drivability was night and day with upgrades we added.